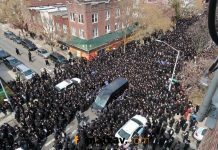 All are asked to daven and say Tehillim for Rav Dovid Kviat shlit”a, rov of Agudas Yisroel of 18th Avenue and former R”M in the Mirrer Yeshiva in Brooklyn. 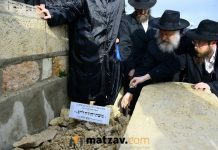 Rav Kviat was hospitalized several weeks ago at Maimonidies Medical Center and needs rachamei Shomayim. Rav Kviat, a member of the nesius of Agudas Yisroel of America, has written over 40 seforim, including his famous work Sukkas Dovid, and been marbitz Torah for decades. Rav Kviat is one of the few surviving Mirrer Yeshiva alumni who learned at the Mirrer Yeshiva in Poland and made their way to Kobe, Japan, and then Shanghai, China. The name for Tehillim is Rav Dovid ben Chaya Risha.